For Remco Brink, better known as nilicule, it's always been about the music. After moving to Norway and getting involved in Oslo's electronic music scene, he's been consistently broadening his musical horizons while playing relentless sets in the United States, Norway, Sweden, Belgium and The Netherlands with fellow DJs from Scandinavia, The UK, The Netherlands and Australia and of course the US. Often blurring the boundaries between genres, he hosts a regular show on Digitally Imported - a mix of driving techhouse with strong roots in techno, progressive and house - and releases his The Drive Inside Me podcast every forthnight. 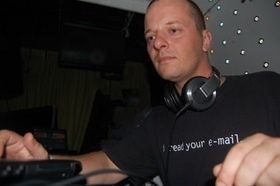 Together with guest DJs, he occassionally streams live audio and video sets from Studio 5-0 in Utrecht, The Netherlands and has regular shows on Digitally Imported and CUE Radio.